Kick-start a Stink collection with a way-cool bind-up of his first two adventures. Shrink, shrank, shrunk! 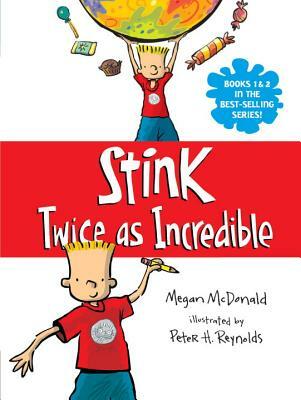 Every morning Judy measures Stink, and it’s always the same: three feet eight inches tall. Until, that is, the day the ruler reads a quarter-inch less. Can it be? Is Stink shrinking? Spurred by a newfound awareness of false advertising, Stink Moody becomes the proverbial kid in a candy store as his letter-writing campaign yields him heaps of rewards.